In our speaking programs and private coaching, we always tell the teams we’re working with that it’s ok to be skeptical. There’s a difference between being skeptical and being resistant. Being resistant means you’re not willing to change the way you’ve always done things and you’re not willing to be flexible. Even when there’s a good reason to change. Being skeptical means that you may be flexible and open to change but you need more information. Often, being skeptical is a GOOD sign that you’re passionate about what you believe in. Maybe you believe in the science that supports how you’ve done things for years and you’re wondering if the new science is really true. Being skeptical means that you want to dig deep to examine what you really believe about how you care for patients day in and day out and WHY. It means you’re ENGAGED in your career and your responsibility to your patients. This is GOOD. In today’s ‘Inspiring Teams’ video, you’ll see that their hygienists were skeptical at first about taking their care to the next level. It’s because they care deeply about their patients and their practice and want to always do the right thing. The most successful hygienists we encounter are ones that understand the commitment of pitching in. The idea that some duties in the dental office are below them and are, “not my job” doesn’t exist for the rock star hygienist. Rock stars are willing to do whatever it takes to keep the hygiene department AS WELL AS THE ENTIRE OFFICE on top of its game. This may mean taking more CE than is required. It may mean calling past due patients on your down time, making confirmation calls, sending recall cards, taking impressions, researching new products on your own time, etc. Not only does this keep your schedule productive but it creates goodwill amongst your boss and co-workers. When you scratch their backs, they’ll scratch yours. Our most successful doctor-leaders lead by example. For example, if a doctor takes the bare-minimum amount of CE, how can they expect their hygienist to take additional CE? Here are 2 steps to implement right away to encourage trait #3 in your team…. 1) Even if you have your hygiene on some type of commission, include them in the team bonus. You may need to adjust the commission rate but it is crucial to have everyone playing on the same team and supporting each other. 2) Encourage and expect ALL team members to do whatever it takes- and intentionally express this in your next team mtg. Identify the most important things to do with downtime…here’s a hint…patient service and team support come first. How do you classify bleeding? While you might say ‘if there’s bleeding…there’s bleeding’, it’s important to classify bleeding according to the severity and the prevalence. I recently worked with a team that had a very well developed hygiene department but there were some inconsistencies between treatment recommendations. One thing we discovered is that their way of describing the amount of bleeding was very subjective. What one person saw as a problem, another did not. This is another area where it is very important to get your entire team on the same page. This video gives a quick example of how to determine and communicate different levels of bleeding. How much radiation are we really getting? Here at Inspired Hygiene, we believe in building on the knowledge of others. This doesn’t mean using someone else’s information as your own but rather acknowledging that no one person can know EVERYTHING there is to know in a subject area. But if we pool our knowledge and collaborate…THEN we are unstoppable. This is how our Hygiene Profits Mastermind program was born. I love interviewing experts on all the topics that create a progressive, patient-centered, productive hygiene department. I want to give our clients and members the benefit of hearing the latest information from the experts in each specific area. This is a concept shared by another organization that is near and dear to my heart. 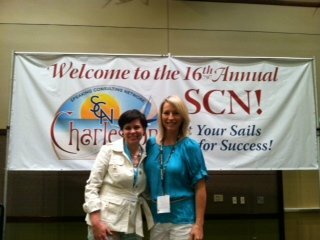 Just last weekend, Stacy and I attended the annual session of the Speaking Consulting Network. This is a group of some of the BEST speakers, writers and consultants in the dental industry that get together every year TO GET BETTER. We learn from each other and utilize each other’s expertise to better serve our clients and audiences. This month, I can’t wait to interview Laura Howerton, a dental radiology expert and instructor. There has been a media firestorm over the last few months about the effects of dental radiation and Laura is going to set it straight. Don’t miss the call on Thursday, June 21. And if you’re not already a member of our Mastermind group, the first 2 months are FREE. Click here to sign up. 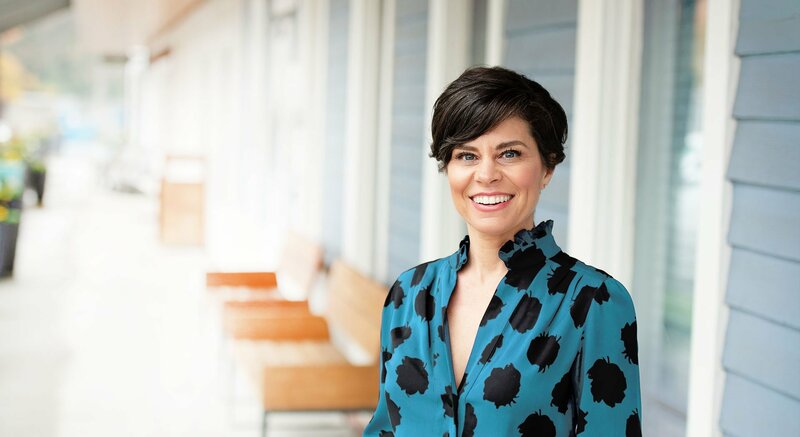 Hear Rachel interview this month’s expert guest, Laura Howerton, RDH, MS. Laura is a nationally-known speaker, textbook author, and is one of the most well known digital radiology technology experts. Do we need thyroid collars and lead aprons with digital x-ray technology? What the current industry standards are for radiation safety for providers and patients? How often to take FMX and bitewings – what’s the science say?